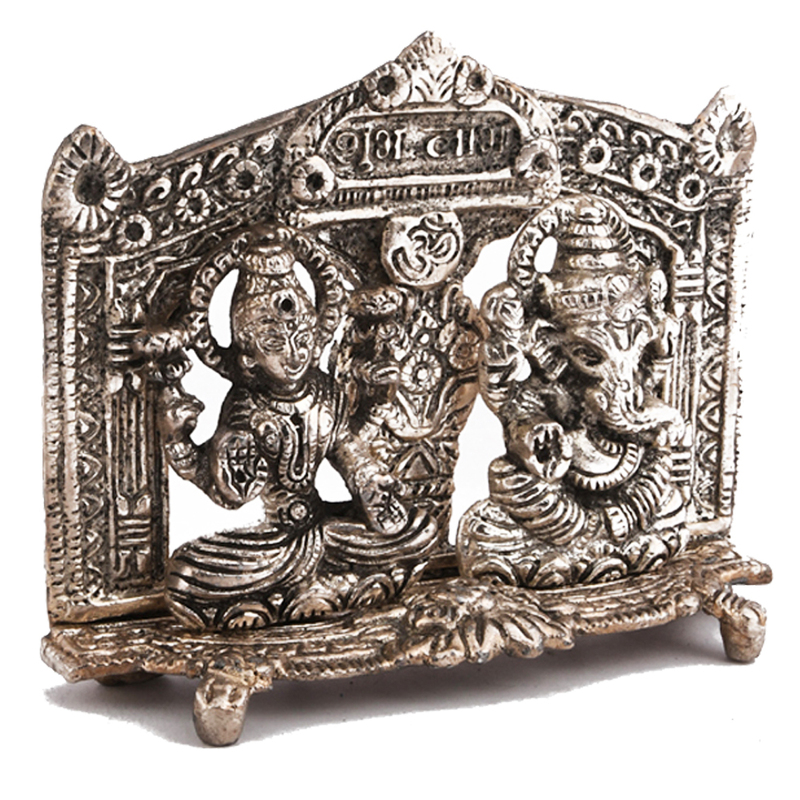 This wonderful figure of laxmi and ganesh is the perfect gift to anyone. Whether it is a corporate gift, wedding gift, return or birthday gift, Read More..this is something which will be valued, no matter in which context it is given. The detailing of the entire show piece shows just how intricate the workings are. 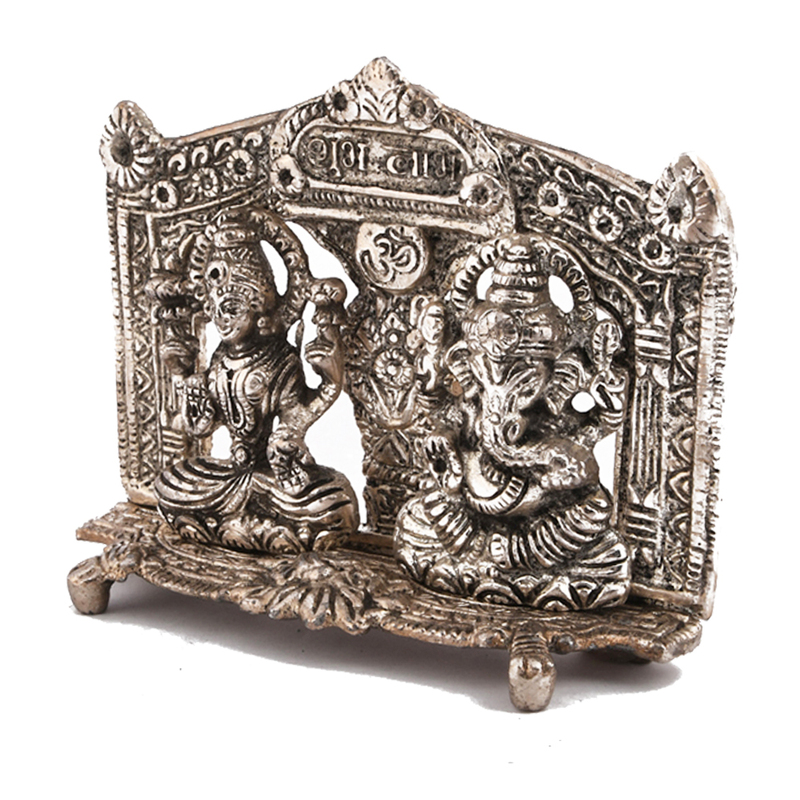 The idols of laxmi and ganesh seem to be carved out of a single piece. The silver hue of the figure adds to the traditional style of the figure. 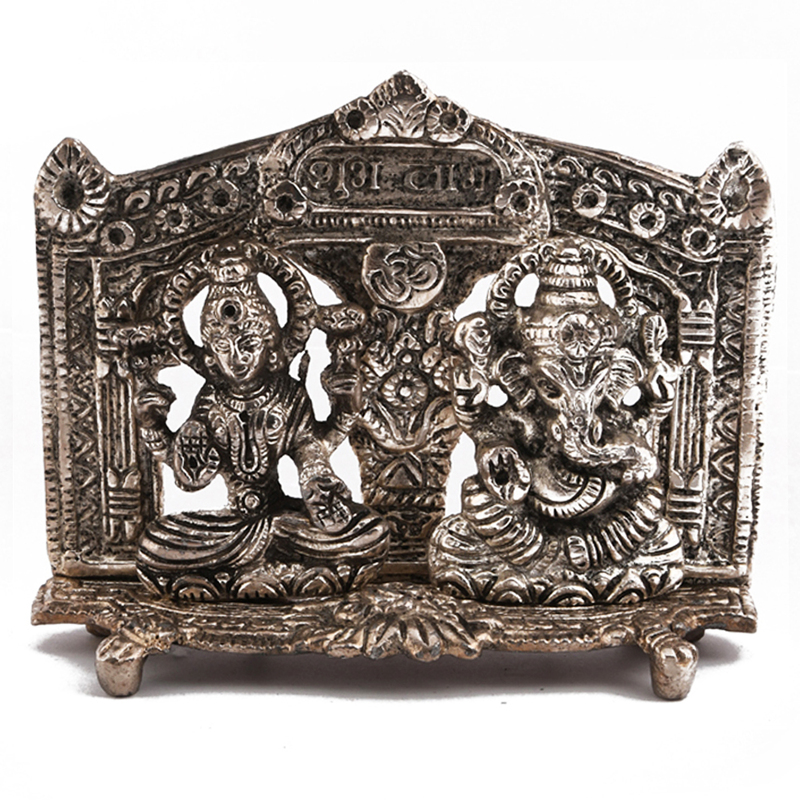 This would give off a rich and royal look no matter where it is placed. Show Less..